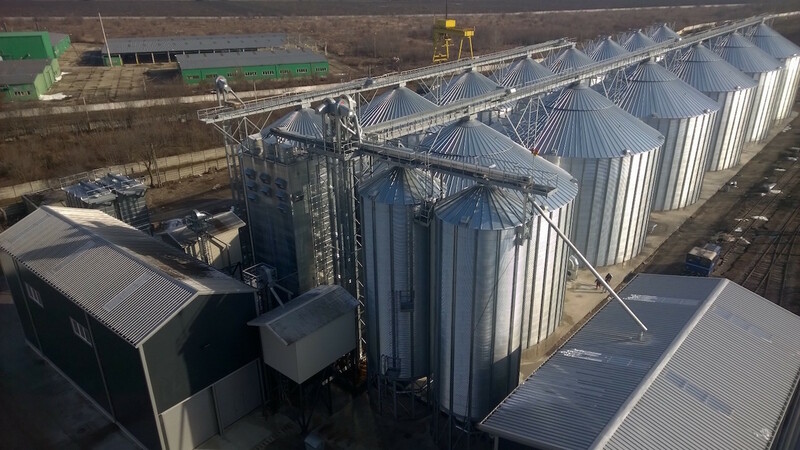 FRAME can meet all customers’ needs for commercial silo applications, with the wide range of FP silo models, from 3.64 up to 31.83 metres diameter. 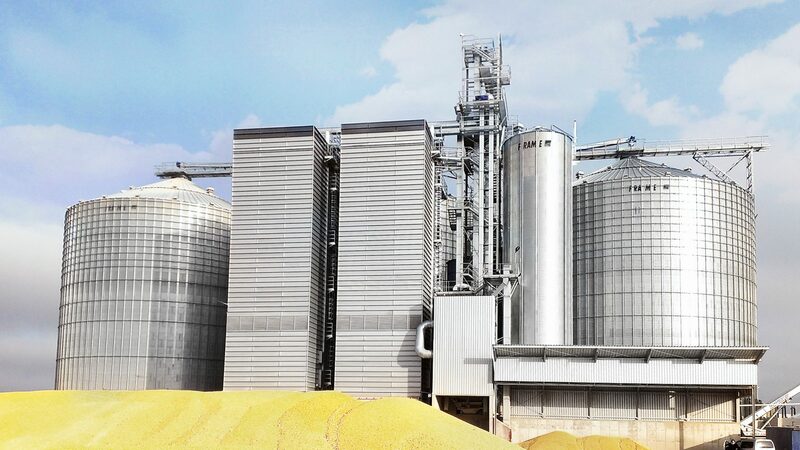 All silo major components are manufactured with highly automated continuous ‘de-coiling’ process techniques, ensuring fast & accurate production. 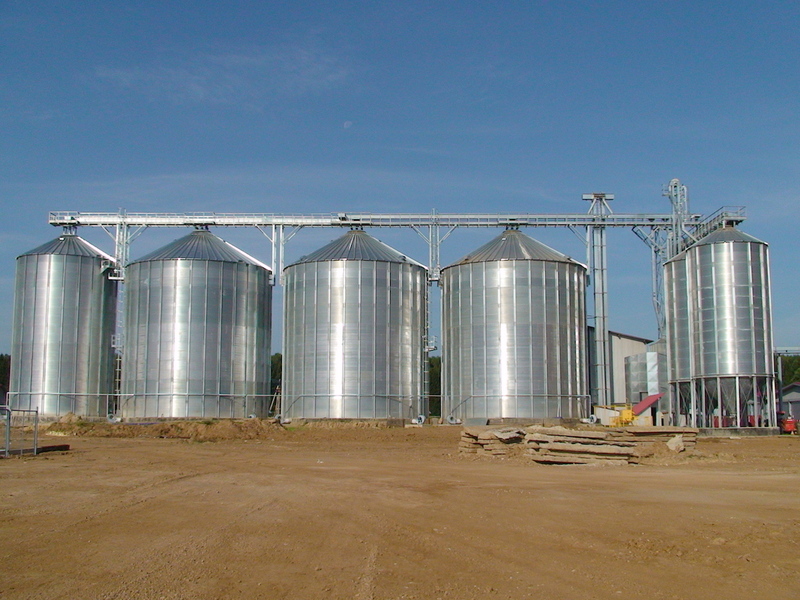 The cylinder is constructed from galvanized corrugated steel sheets with profiled external galvanized vertical stiffeners. 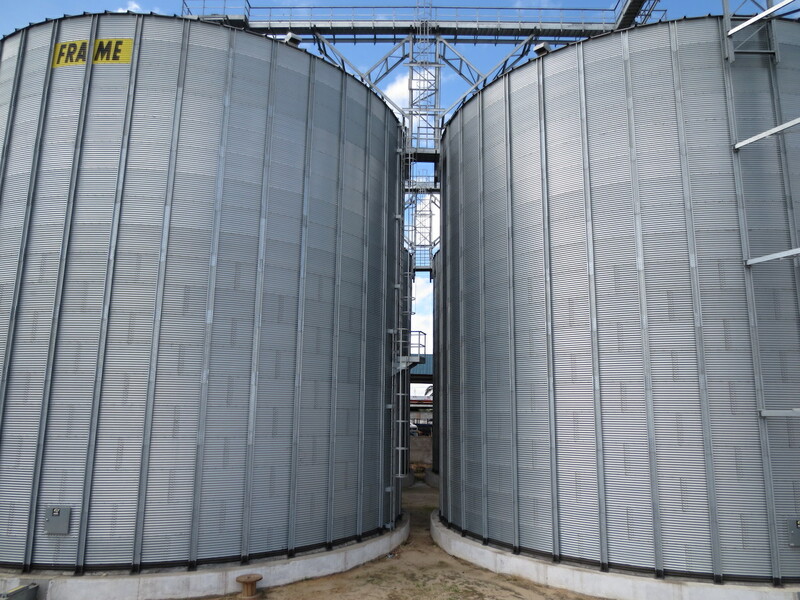 The standard sidewall sheets and stiffeners are manufactured from 0.8 mm through to 3.5 mm galvanized, (minimum 450 g/m2 steel with a tensile strength up to 420 N/mm2 & a yield stress up to 350 N/mm2. 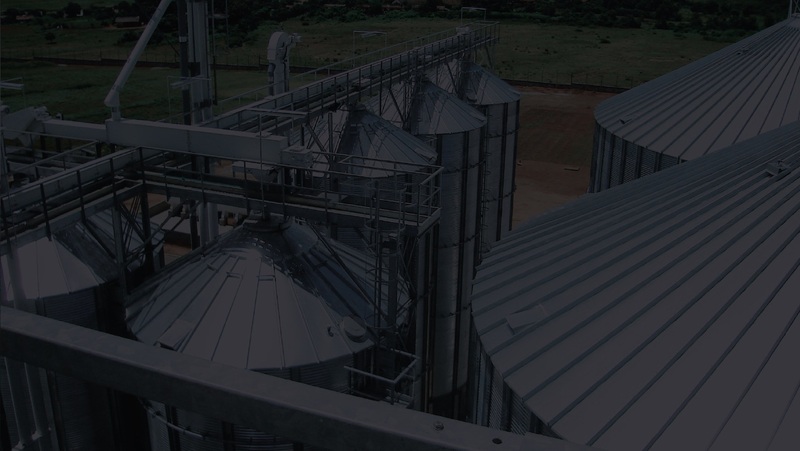 When required, higher steel grade material and galvanization up to 600g/m2 can be offered to suit clients’ specific requirements. Where necessary laminated sheets are used to meet the calculation requirements. 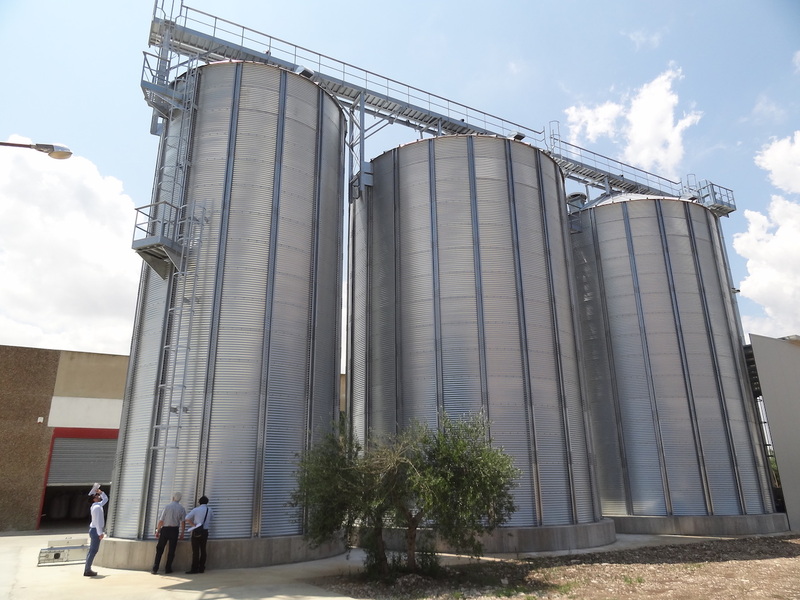 The profiled stiffeners carry the vertical load of the silo to the base, the stiffeners feature strong bolted splice joint plates with a large cross sectional area, critical elements in stiffener design. All sidewall sheets are assembled with FRAME high strength grade 8.8 bolts, with a spun galvanized coating, guaranteed against corrosion & stainless steel/rubber washers. The use of ‘strip’ sealant for both horizontal vertical joints ensures a perfect seal between sidewall sheets & fixings. 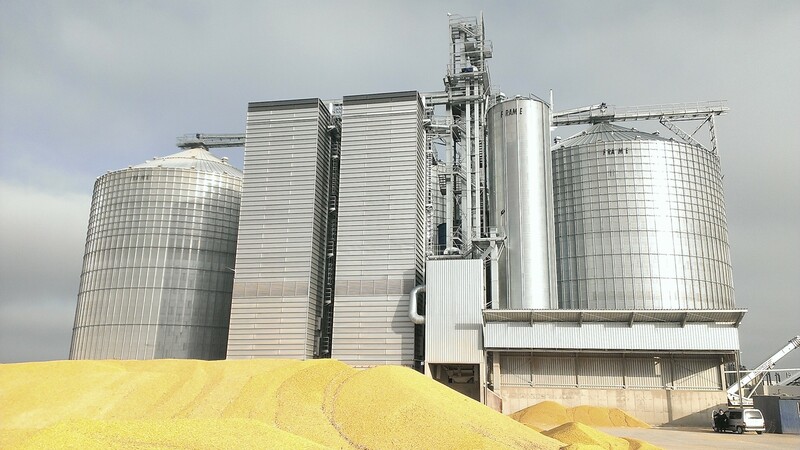 The FRAME range of silos are suitable for all free-flowing cereals including wheat, maize, barley, rapeseed, soya beans etc & can be offered according to ASAE/ANSI, DIN 1055 Part 6 & Eurocode design standards, also taking into account the local wind, seismic & snow load requirements. 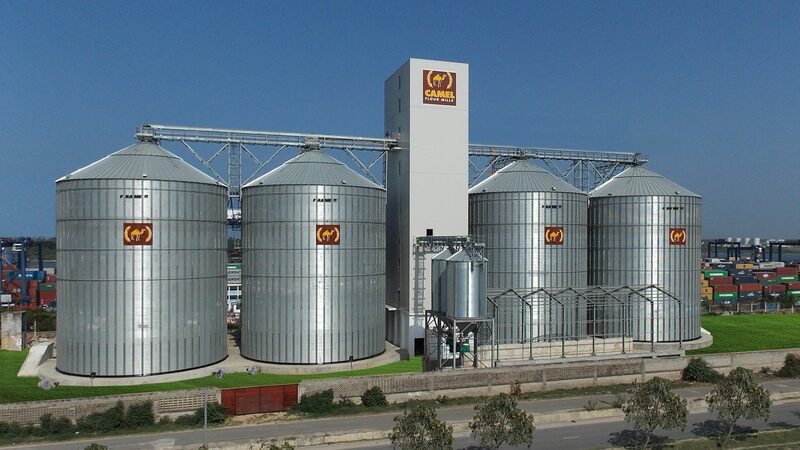 As standard, the FRAME range of FP silos from the model FP 04 to the model FP 35, & the FC 04 & FC 16 are designed for 10 no. 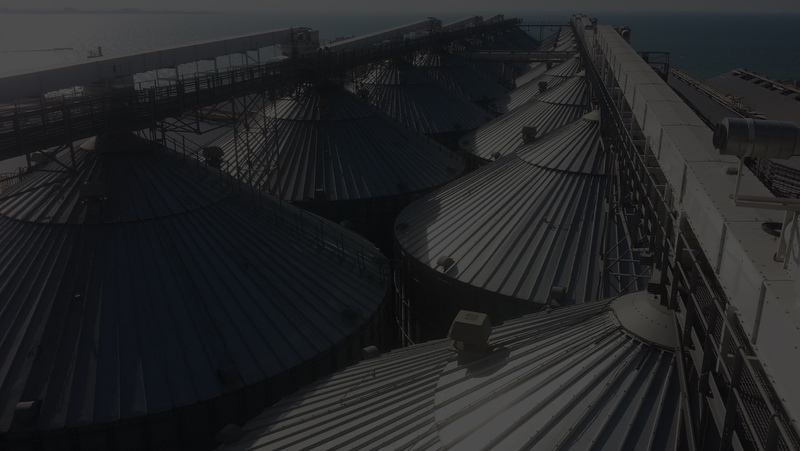 fill & empty cycles per year, however, for Commercial applications it may be necessary to allow for far greater fill/empty frequencies & FRAME can accommodate this higher specification, based on whichever design standard, ASAE/ANSI, DIN 1055 Part 6 or Eurocode, has been requested. Designed for a maximum of 10 no. 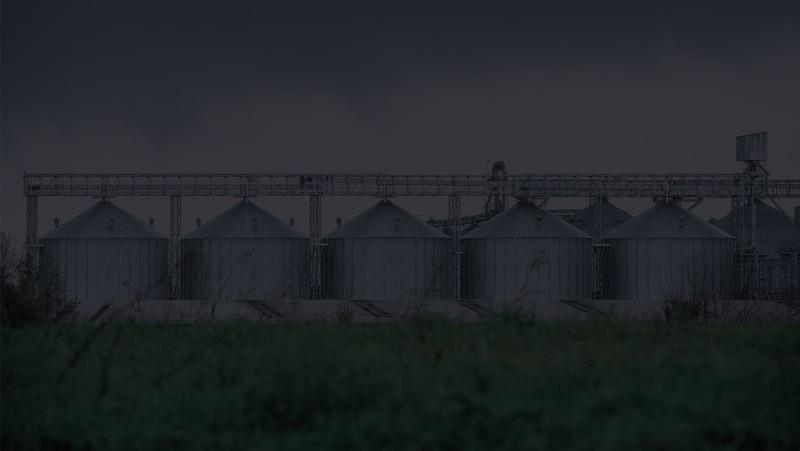 fill/empty cycles per year but otherwise available to the same design standards, specifications & even in the same capacities if required, the main difference between the FRAME range of FP Farm & Commercial silos is with regard to the accessories. 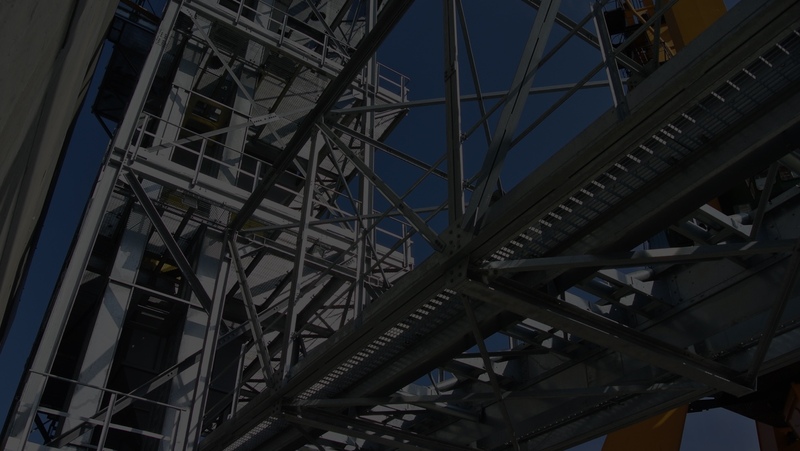 FRAME can also provide fully integrated solutions for steel structures; this includes machine & supporting towers, heavy duty catwalks etc. galvanized & bolted construction for ease of assembly on site. 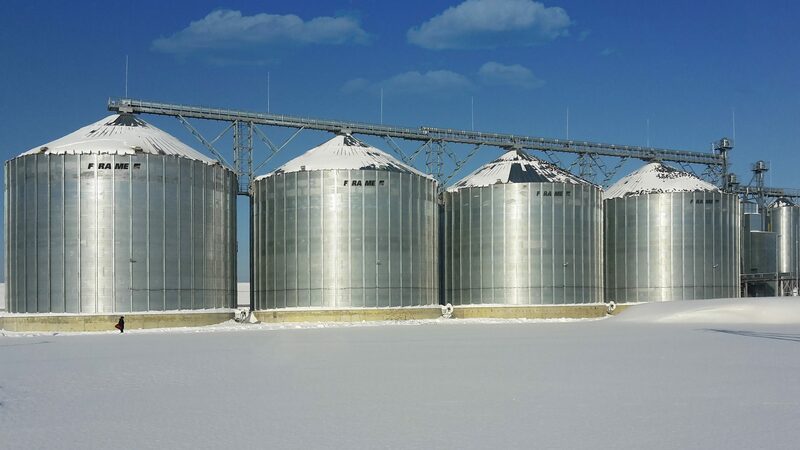 The quality of the stored product is maintained by incorporating a well-designed aeration system with efficient fans and an accurate temperature monitoring system. Level, full-floor, & for smaller diameter silos, a conical aeration systems can be offered. 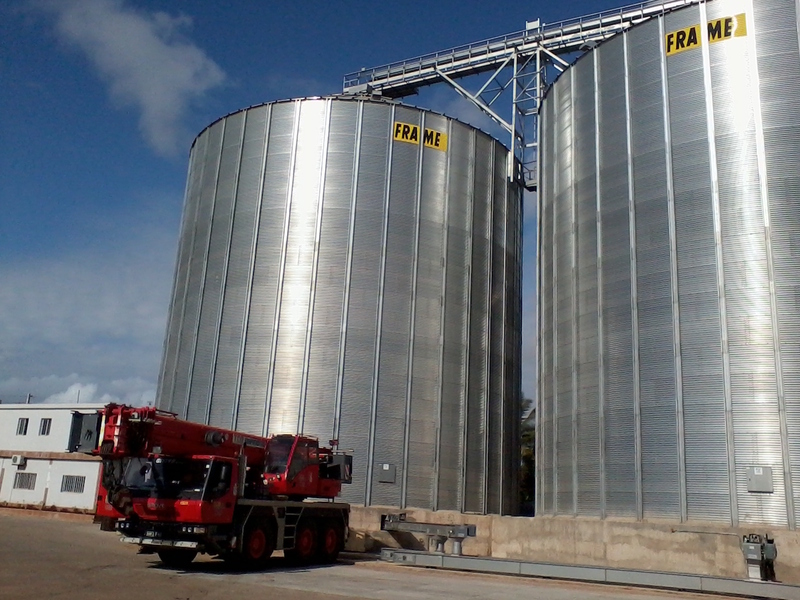 The standard FRAME aeration system is designed with an air volume of 7m3/tonne/h.